What is the best colour car to buy? If you take note of car colours while driving anywhere in Australia, it’s not hard to see that black is one of the most common colours on the road. But that statistic doesn’t necessarily mean that it is an easy car colour to maintain. Though there is something spectacular about a shiny and freshly detailed black car, they can be notoriously difficult to keep clean. Black cars make dust easy to see, as it is usually lighter than the paint itself. It's also easy to see light scratches in the paintwork, which can occur in the top layer over the time causing a dulling effect. Black paint is often not available as a base colour when purchasing a car from the showroom, meaning you may be required to make a larger investment into your new car if this is the colour you choose. Black cars are pretty efficient at attracting the heat of the sun, which can result in a burning hot paint surface as well as sweltering heat inside the car, so it’s advisable to park in the shade or undercover. Interestingly, there are also statistics to support that it is more likely for black and dark coloured cars to be involved in car accidents. If you’ve truly got your heart set on black, you should consider paint protection and weekly washing to keep your car in tip-top condition and looking sleek. The team at Magic Hand Carwash are car washing experts and the perfect solution to keeping your car clean on the regular. At the opposite end of the colour spectrum, white cars are by far the most popular colour of car on the road. 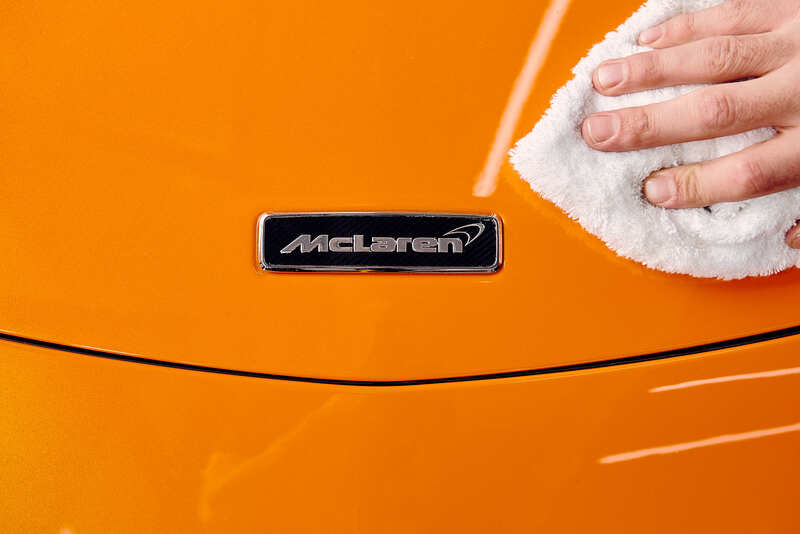 In general, they are much easier to keep clean when compared with black cars and are more forgiving in terms of the visibility of light scratches. The white surface makes it harder to see light coloured dirt, though dirty rain can still mean your car looks grubby after a rain shower. In general, white cars can go a little longer between washes than black cars and have better longevity in terms of the appearance of the paintwork, when well cared for. The reflective nature of white means that the sun’s rays are repelled to a certain extent. White cars are also thought to be more visible on the road, with some insurance companies reducing premiums for white cars. Cars with basic white paint are often the cheapest in the range, though if you’re looking for a metallic finish you may be up for extra dollars. Even though they aren’t as popular as more monochrome options, most manufacturers offer a suite of other colours to choose from like green, red, silver and champagne - or sometimes brighter colours like orange, purple or yellow. Just as with black and white cars; the darker the paint the easier dirt and scratches are to see - the lighter the paint the more clean the paintwork generally looks. So you can let this guide your choice from the colour options at hand - or go with your heart’s desire and pick the colour that resonates most. At the end of the day, when you’re choosing your new pride and joy you want it to be something that reflects your personality and beam with pride as you drive it around town. Committing to regular washing is the best way to keep your car in showroom condition - and means you don’t have to restrict your choice of colour.